We’ve done a lot of fun celebrating in the last week. It began with my birthday. David and Davey celebrated me well with cupcakes, time together, and gifts. We continued our celebration (my sister-in-law supports the idea of a birthday week, and I like that idea!) with a short trip to Seattle. 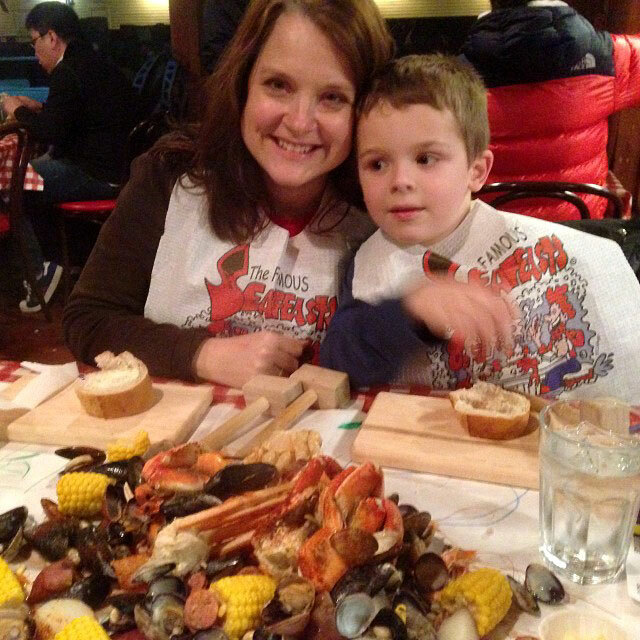 We had dinner at the Crabpot. Davey tried everything, and he declared it to be the best meal of his life. He even tried the steamed mussels and clams, and I have to admit those freak me out a little (I didn’t tell him that. I also don’t tell him that I think celery tastes like dirty feet, because he really likes it!). We spent one night near downtown Seattle. That Davey loves to stay in hotels. 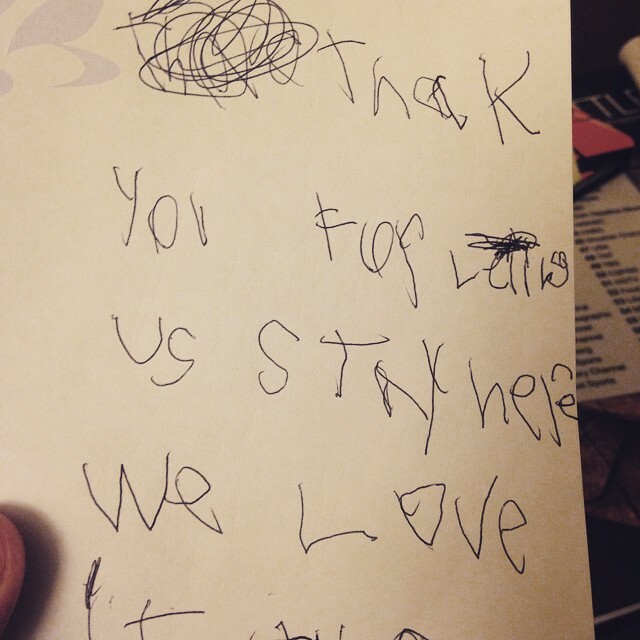 This time he wanted to write a note to the housekeeping staff in order to properly show his appreciation. I thought this was a pretty nice idea; I have to admit I’d not thought of doing this before, and I stayed in way too many hotels in the 90s! The picture doesn’t show it, but the top of the page says “From the Pepl” (people). I liked that salutation. I wanted to keep the note as a memento, but that kinda defeated the purpose of writing it. I am glad to have the picture. 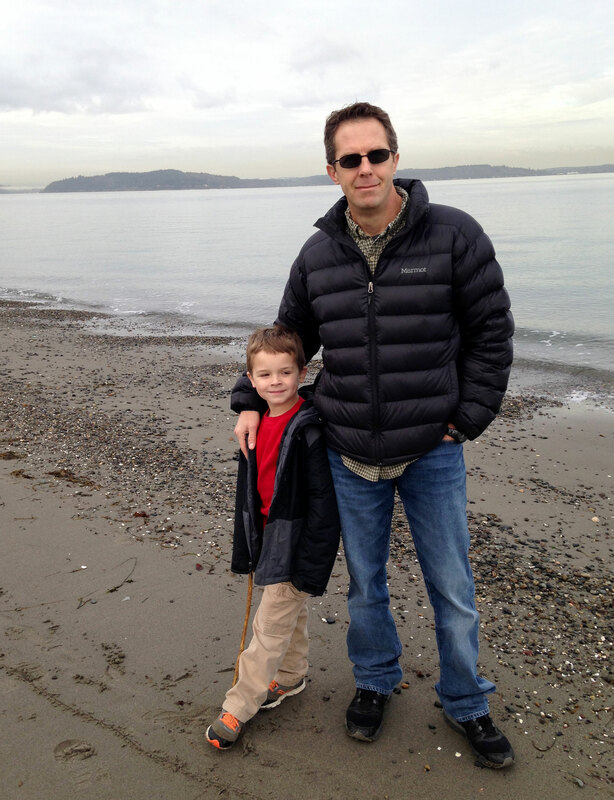 We took Davey to West Seattle to Alki Beach too. We’d never been there before. 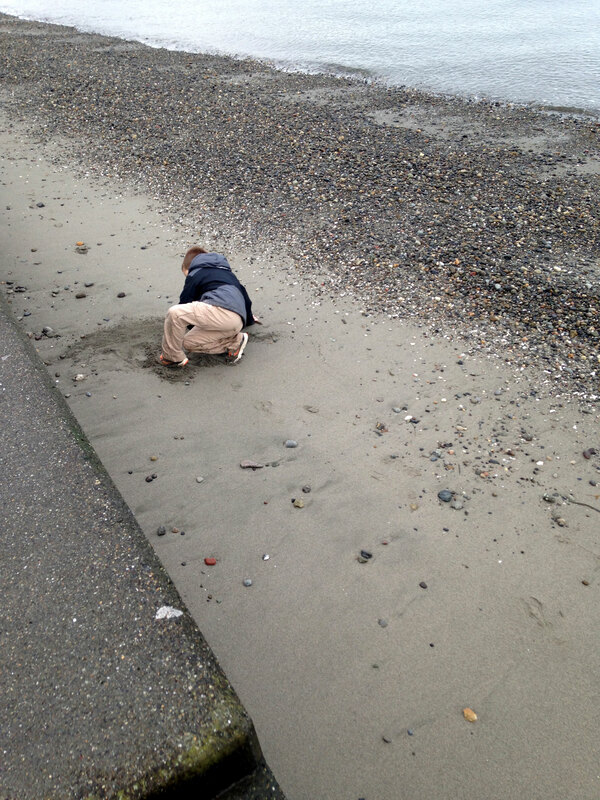 It’s not exactly a huge sandy beach but that didn’t phase Davey. He got right in there. We have got to get that kid to a nice white sand beach. Apparently you also can watch for whales and other sea life from there. We looked for awhile, but we didn’t see anything. It was probably the wrong part of the day (or year!). So I took a picture of David and Davey instead. When we got back home, we finished getting ready for Christmas. 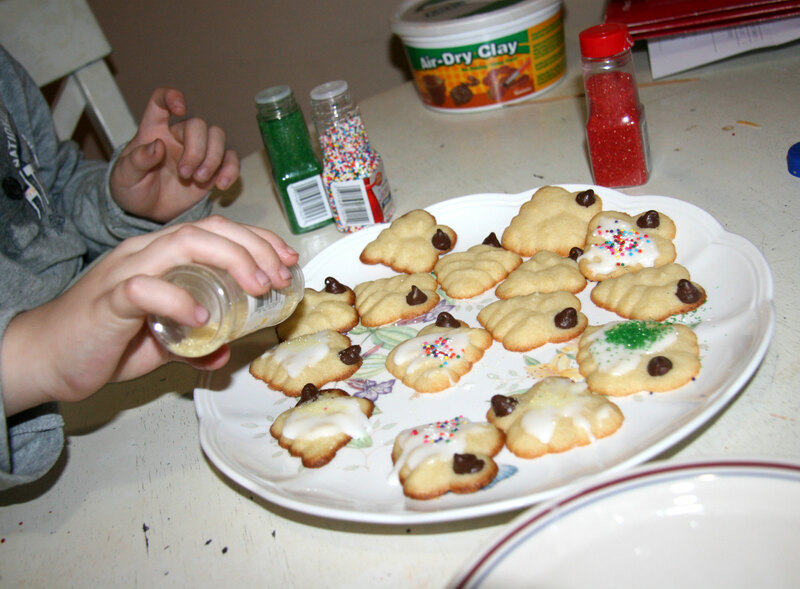 We’d already made these cookies. It’s an annual tradition that goes back to my grandmother when she was a little girl. Maybe farther? We just made one batch this year, because it is too easy to eat too many of these almond flavored delights. Christmas with Davey is always very fun. 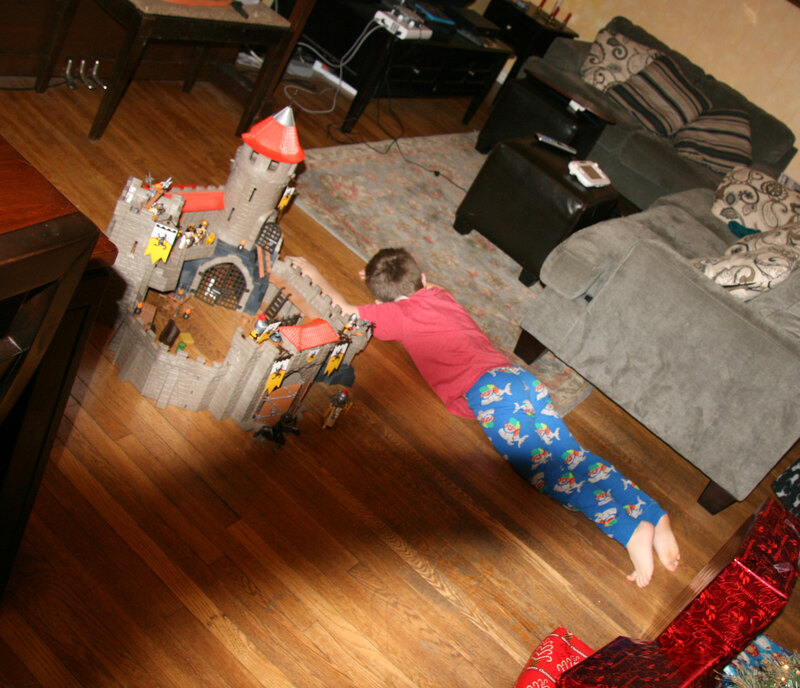 He doesn’t do anything halfway, and this includes his mighty reactions. Here he is when he saw his first toy on Christmas Day morning.